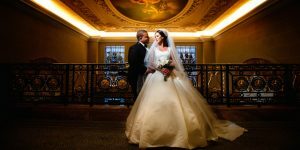 Wedding photography is no ordinary photography and you know it! It is downright different from other categories of photography. As we all know that weddings are once in a life time event, so, for making errors there is hardly any room. It is not about the photographer the whole event is of two people who are looking forward to the best memories of their wedding. Being a wedding photographer it becomes your responsibility to capture the best of the best moments to create a great memory for the couples for them to cherish forever. A wedding photographer’s job can’t be taken lightly as there are many challenges a wedding photographer faces starting from dealing with couple’s or their families, managing things on time as wedding is just one day event and that’s the only time which a photographer get to finally click the best of the shots, and there is no second chance, no do-overs, one and only one chance to showcase your best work. A wedding photographer has to be really diligent. Wedding photography can be a fun for few and for some can prove to be disastrous. There is no doubt that being a wedding photographer you very well understand which part of your work can be stressful, what are the challenges you can face, and no doubt that you keep yourself abreast to face all the challenges of your job. There are several things which you already are attentive about before taking a new assignment. Still there are things which can go wrong during a wedding photography. Perhaps, you very well know the do’s of the wedding photography. Now is the time to know the don’ts of wedding photography. Would you want to know the don’ts of wedding photography? 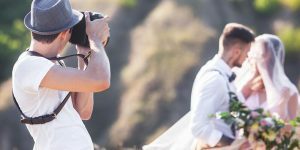 Here is the list of those 10 things that can prove to be disastrous for a wedding photographer. Let’s know what those things…..are!! Listing things in reverse order this time…. Read on! Most often wedding photographers take their job very casually. They think it is not a work where some set dressing style is required. Well, let me tell you if you are also one of them than you must know that photography is a decent profession like any other and you need to put on nice and decent clothes while going for a wedding shoot. Having said that I do not mean that you have to be three piece suit for the wedding shoot but your looks matter a lot. You know how you carry yourself to the spot is your first impression for that day, don’t let your first impression be casual on others. It is indispensable for you to know that your improper or very casual dressing on a wedding shoot will leave a bad impression on the client and in the process you may leave a potential client. Very important is your tone how you behave with your clients, how you react in a particular situation when things don’t go your way, how you build rapport with your couple all that may seem small points but makes a huge difference in the overall shoot. As a wedding photographer you must be very well aware of the photography agreement which contains all the details about the shoot along with the money, number of poses, hours of shoot, type of album, prints etc. No matter how close you are with the family of the couple, personal relation should not come in between your work at all. It may sound quirky, but the truth is there has to be a line between your work and your relationship with the client. Not signing any contract beforehand or before taking the assignment will be the biggest mistake you can make as a wedding photographer. It is highly recommended to sign an agreement before taking the assignment, otherwise later you never know where things can go wrong and all your hard work go into toss. Always know that no business can run smoothly only on relations, paper work is always essential for the free-flow of the work. You never know what can go wrong tomorrow it’s better to have a contract wherein everything is clear to both the parties and things will be great and hassle-free. That’s what is needed to keep yourself mentally free also. Mental freedom is very much required for a wedding photographer to give the best wedding memories to the client. Going by rule is good, go by rule! Scouting of the venue is as important as the wedding photography itself. If you think that you can manage without visiting your venue beforehand or before the wedding then you are only trying to make things complicated for yourself and for your couple later. More often than not, a wedding is full of ceremonies, anything can happen at the shoot, things can go completely haywire and mostly decisions are made on the spot. Not necessarily things will go a per your plan, maybe you planned to take other photos first and the couple portraits later but suddenly your couple is ready for the couple shoot first and you have no location or spot decided to click those portraits, because you never bothered to scout the venue. Remember, anything you can expect on in a wedding, it is better you scout your location before the wedding, find out the best spot(s) for your couple shoot, visualize how your overall shoot will go, where and how will you shoot the group photos, the fineries etc. It is recommended to pay a visit before the wedding, you will get enough ideas for your wedding shoot. If you don’t survey the venue in advance you will only end up rushing and having huge pressure at the wedding day itself, you will only find yourself running here and there, that is not a sign of a professional wedding photographer at all. Go scout the location! As a wedding photographer you should know that having only one set for shooting a wedding is a mistake, can’t be amended for sure. Just imagine, you went for the shoot and everything was going amazing from both the ends yours and your clients, just during that time when you had a little break in between, you were enjoying your cup of coffee and your long range lens was kept on the table near you, suddenly a kid came running, bumped into the table and your lens gone… Oops! Now what man, the wedding location is too far from your studio, how will you go ahead now??? Just know that anything can happen just on the day and you will not ever want to be the one paid without a camera…. You may think that you don’t need any prior shot list for your wedding shoot, maybe that’s not your style, maybe creativity is what you are looking for the wedding shoot. Whatever! Whatever you are thinking is nice, great, that you want to be creative and have unique style all in all. But believe you me, going with mental ideas on a wedding shoot is no great deal, you never know what can go wrong where. More often than not, a wedding can be quite overwhelming at times, and amidst everything going right you never know in the heat of the moment, what went wrong and you forgot to shoot exactly what you had to… and you know there is no second chance you get for that candid moment or emotion. It is either you get the got the shot or you miss it absolutely… but no re-shoot… That is! As a wedding photographer you know how stressful and challenging your job is and sometimes can be more than expected. I have a story here, my friend was getting married and she booked a nice photographer of the town and the guy came very well prepared, nicely dressed everything was fine but you know when it came to shoot the portraits and the stage photographs he was kind of lost on some occasions as if trying to recall things. He was not naive absolutely but because of the pressure he was lost. And it was easily visible. Here, I am not saying that it is going to happen with you too. It is just an example from the experience, to make you realize that nothing is guaranteed. You can always take help from the couple or any other member of the family who is coordinating! Boss, if you have any such plan then seriously I am telling you, you are going to make your life troublesome and tiring at the end. You already know that a wedding shoot is no ordinary shoot, and not having a second shooter during the wedding will be a lot of task for you. Having a second shooter is indispensable, you will find numerous occasions where you will have difficulty in holding your camera along with other expensive tools at the same time. Doing many things simultaneously will not only affect your work but also your focus. Just imagine, you have to capture the couple from a distant table now you cannot carry all your tools on your shoulder and then stepping up the table to get the perfect stage shot and if you keep your bag somewhere else all your head will be focused on your bag. In a wedding anything you can expect, just imagine you need to use flash how you will do that carrying your camera. You may think of saving money on second shooter but the trouble which you will have no money can replace it. A second shooter not only help you carry your bag, your equipment, hold off camera flash for you but also take some shots when you are busy taking portraits of your couple. 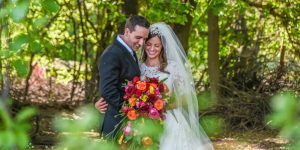 It will be gruesome for you to handle the entire wedding photo session single-handedly, and by the time the shoot will be over you will be exhausted completely. Having a second shooter will give you some time to have breaks in between, otherwise you know better you have to forget about the breaks. Remember, team work can fetch you best results in a wedding shoot. Make your life easy and take a second shooter along with you for the wedding shoot, you will not regret your decision for sure and if you don’t have any assistant with you, you can take your photographer friend with you and introduce him to the client as your assistant. Your life will be easy upon having a second shooter… !! Oh don’t tell me you forgot to discuss the schedule of the event with your couple, oh man this can be disastrous for your work and your name. If you think that you can by heart the schedule or you think that only the dates are enough for you as rest everything you can understand as same things happen in almost all the weddings, or you are habitual of reaching late at the event or whatever, then you are absolutely wrong. Every wedding has a flow of events and wedding photography is the most important part of the wedding, every ceremony, event large or small, has to be captured in a wedding and if you don’t follow the schedule strictly than you are not justifying your work at all. Anything like this could be biggest mistake at your part as it will not only spoil the whole shoot but also the mood of the couple which will surely reflect in their pictures too. Reaching late at the venue and not following the schedule strictly will let you miss many crucial shots. Chances are you may miss a complete ceremony which you thought is okay. No Schedule means no complete photography of the event. Manage the schedule properly, don’t miss essential wedding shots because of this. Be on time, give your best, your pictures will make huge impact on your couple’s life later whenever they will flip over their album pages they will admire for those great shots. Also, your overall performance at the event be it time, schedule, routine, tone, behavior all these things will wither help you get more business or no business through referrals. Make sure that you discuss the event schedule with the couple or with their family beforehand as having schedule is imperative, you can’t go ahead without a schedule for the meticulous performance which your client will admire later. What is important is important, you can’t ignore the importance of schedule for any reason otherwise you know how disastrous it will be for your name and work later. 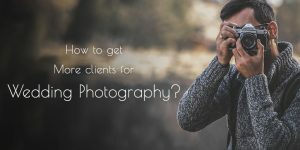 You may be a busy photographer of the town, may be a renowned one but you should see all these things before taking the assignment in hand that whether you would be able to accomplish the task or not. You cannot hasten things at the wedding, because you have another shoot just after this wedding. If you don’t know your capacities and you just take tasks out of your capacity you are creating problem for yourself. As, definitely this way you will keep losing your potential clients. Being a wedding photographer your job is to give the best memories of couple’s wedding to them, they can showcase them to their generations and if you intend to work only for money and not able to give good outcome to the couple later your chances of getting recommended by any client is exponentially low. First thing first, your camera and its’ know how is very important for your as wedding photographer. If you are shooting only for fun at your sister’s wedding that’s a different story altogether. As a professional wedding photographer you might have all the tools, you may think that you know your camera well but it won’t be a great sign that your week points or your lack of technical knowledge is displayed in someone else’s wedding. There are varieties of tools to use on the wedding shoot for a wedding photographer. Being a wedding photographer you should know exactly which settings on your camera need to be adjusted on a particular scene or setting to expose correctly, along with how to change those settings just in sprint of time as you move to the next setting/scene. Knowing all the functions and features of your camera and its tools is extremely important you just can’t ignore the fact. Shooting in a day time and shooting at night will have different lighting altogether, you should know how to expose for these two different lighting situations. You should know how to capture those wide shot, a medium shot, and close ups. And if you don’t than you know it well how disastrous it could be for your couple as all your pictures will show it all later. These are these 10 things which can prove to be disastrous, make sure that you do not repeat any of the don’ts mentioned above. 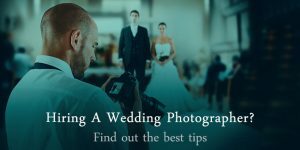 I hope this list of DONT’s help you know things a wedding photographer should avoid and create the best wedding album of the couple you are shooting for their wedding. If you don’t learn to avoid them now, later it will be difficult for you to mend things.